JPA Armouring® (Fahrzeugbau Stadthagen) provides quality vehicles with high levels of protection to match the individual risks and objectives of security missions. 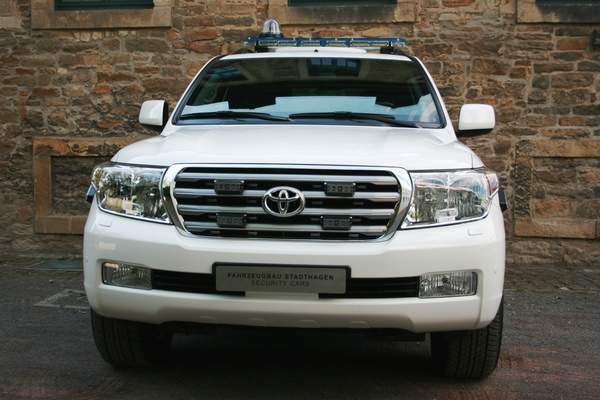 The company’s vehicles support and protect clients on high-risk operations and are used by governments, police, security organisations and VIPs in many international locations. JPA Armouring has more than 28 years’ experience in the development, production and servicing of armoured SUVs and limousines. The company is a leading specialist for high-quality, heavy-duty, protected SUVs and limousines. The company designs its vehicles based on the Mercedes G model, Toyota Land Cruiser range, Nissan Patrol, Mercedes G Sprinter, LEXUS GX and the Luxury Lexus LS limousines. 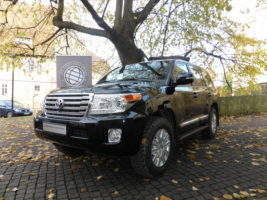 JPA Armouring’s armoured car is based on the Toyota Land Cruiser LC 200, which is a reliable and civilian-looking way to transport soldiers and diplomats. The vehicle is fully certified and features upgraded suspension and brakes to be fast and easy to handle. The built-in Rodgard Runflat system keeps the car moving after the tyres have been shot. 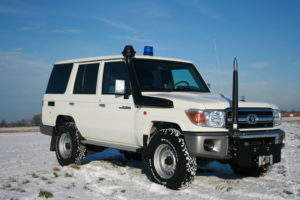 The design of JPA Armouring’s alternative police car is based on a Toyota Land Cruiser LC 200 and customised according to the client and their special needs in the field of action. The appearance of the LC 200 Land Cruiser is similar to a normal police car but it is a handmade, highly armoured vehicle that is useful in many security applications. 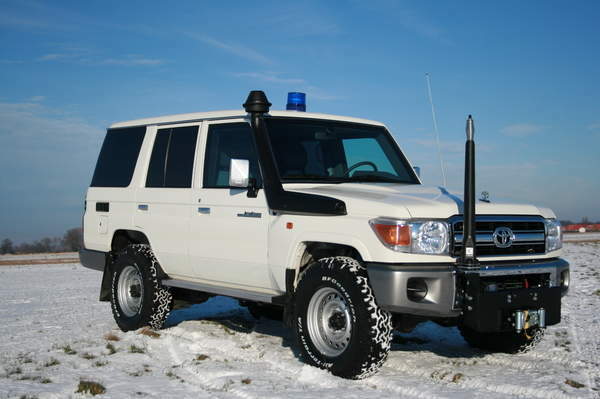 JPA Armouring’s product series includes an armoured vehicle based on a Toyota Land Cruiser LC76, which is a discrete, fast and agile mode of transport. It carries up to nine soldiers without being conspicuous to the enemy or civilians and features superior off-road skills, so it can keep moving in a wide range of terrains. 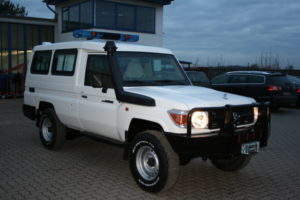 JPA Armouring’s ambulance is similar to the Toyota Land Cruiser LC78 with extra turbo built-in, making it suitable as a special armoured ambulance vehicle. It is supplied with medical equipment fitted according to the clients’ requirements and their field. All vehicles designed and produced by JPA Armouring are fully ISO certified and fulfil all international compliance, quality, road safety and environmental standards. They are certified by Beschussamt Germany, QinetiQ UK, TÜV Germany and Millbrook Proving Ground UK. The main aims of the vehicle range are quality, reliability and durability, which are guaranteed through a rigorous quality control procedure and each vehicle is built to withstand adverse conditions. JPA Armouring’s vehicles are tested and fully approved according to the latest international VPAM BRV2009 and STANAG ballistic and blast requirements. JPA Armouring provides technical advice, after-sales service and spare parts delivery. The company supplies armoured vehicle spare parts and original equipment manufacturer (OEM) vehicle spare parts for shipment to any destination worldwide, and JPA’s technical specialists are available for advice at any time. 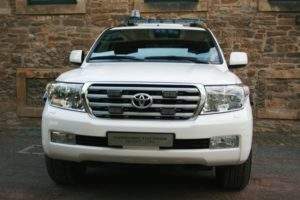 The firm also offers an after-sales maintenance and support package, which can be customised for each client, location or armoured vehicle ordered.